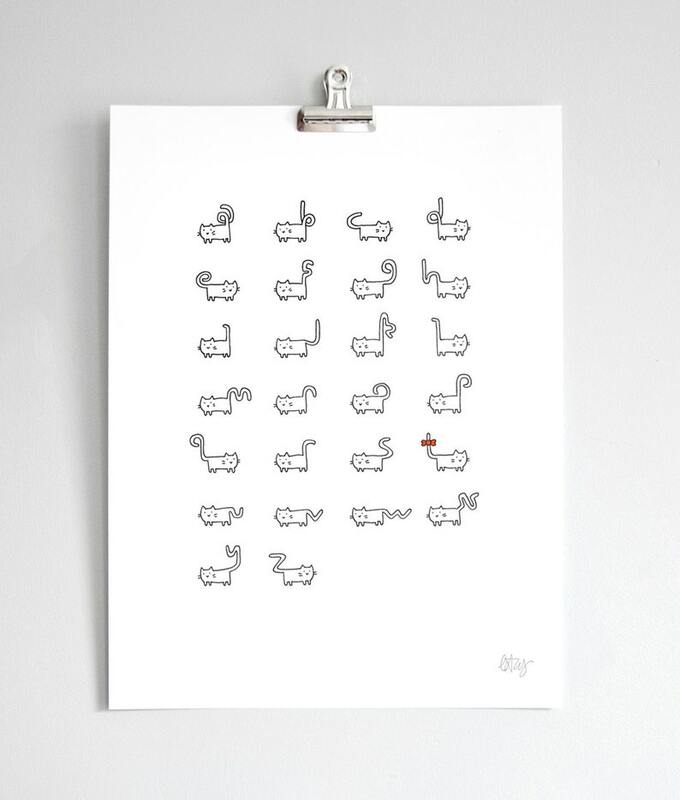 Cats and type, together at last. 12x16" print, letterpressed by hand in Brooklyn, NY. Featured on swissmiss, Design Taxi, and Quipsologies. Had a little issue with shipping but totally wasn't the seller's fault. She resolved the issue quickly and I'm super happy with the print! Absolutely adorable and original! Thank you!! so cute! arrived in perfect condition. printed on high quality stock. love it. Clever and adorable. This will make a perfect (resisting the pun here) Valentine for my daughter this year! And a shipping issue was literally resolved in minutes. Thank you!